Q. What is the average class size at HRA? The average class size at Hampton Roads Academy is 12-16 students. Q. Is HRA religiously affiliated? Hampton Roads Academy is the only co-ed college preparatory day school on the peninsula that has no religious affiliation of any kind. Q. Is there tuition assistance? Tuition assistance is available for grades 5 - 12 and determined by each family's demonstrated need for financial support. Once your enrollment agreement has been received, you are eligible to begin the financial aid application. Assistance is granted on an annual basis, and the application must be submitted each year. Q. What are the options for tuition payment plans? Tuition can be paid monthly, in 12, 10 or 8 installments, can be divided into two installments, summer and winter, or can be pre-paid in full. There is no interest charged for payment plans, though the tuition insurance plan is mandatory for all families electing not to pre-pay in full. Q. To what grades are new students admitted? 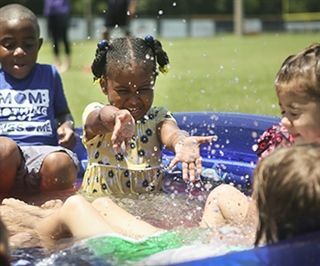 Hampton Roads Academy admits students entering any grade, PreKindergarten through 11. Though not common, there may be special circumstances under which a new student may enter Grade 12. An application may be submitted at any point throughout the year, and admission assessments begin in November for grades three through 11, and in January for Grades PreK through two. Q. I have heard much about HRA’s academic rigor. What does that really mean for my child? At the core of Hampton Roads Academy’s mission to educate the whole person lies an emphasis on high scholarship and intellectual endeavor. This is coupled with the goal of preparing each child artistically, morally, and physically for higher education and for life, within an inclusive community of service, compassion, and excellence. To this end, faculty and staff encourage students to be prepared both inside and outside of the classroom. 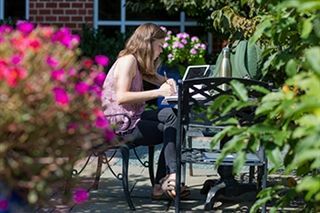 Homework, writing, collaborative projects, and critical thinking are emphasized and utilized as part of HRA’s college-preparatory program. Though challenging, HRA provides plenty of teacher support for success! Q. What is a Shadow Day? A prospective student can choose to spend a morning or afternoon on campus and “shadow” one of our Student Ambassadors. They will typically attend 3-4 classes, have lunch with our students, and meet with HRA faculty. This experience can be separate from, or in conjunction with the Admission Assessment. Q. What is the daily schedule at HRA? Lower School Hours (PK – 4) Monday – Thursday: 8 a.m.- 2:35 p.m. // Friday Dismissal: 2:10 p.m.
Middle School Hours (5 – 8) Monday – Thursday: 8:05 a.m. - 2:55 p.m. // Friday Dismissal: 2:35 p.m.
Upper School Hours (9 – 12) Monday – Thursday: 8:15 a.m. - 2:55 p.m. // Friday Dismissal: 2:35 p.m.
Students in grades 5-12 will attend daily 6 blocks out of a 7 block rotating schedule. The 7th block that rotates out will be the first class the students attend the following morning. 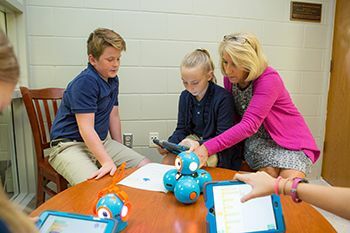 Students in grades PK-4 have a primary teacher and classroom and attend what are called “resource classes.” Depending on the rotation students will attend 2 resources per day from the following array of offerings: Spanish, Technology, Science Enrichment, Art, Music, Physical Education and Library. Q. What is the demographic mix among students? 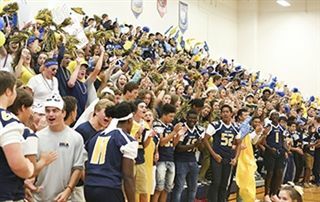 HRA draws students from all areas of the Peninsula and also from “across the water(s).” The Newport News, Hampton, Poquoson, Gloucester, Williamsburg, Yorktown, Smithfield, Suffolk, Chesapeake and Norfolk areas are all well represented in our student body. Additionally, HRA is ethnically diverse with an international and domestic non-Caucasian student representation of 30 percent. Q. Is there a dress code and/or uniform? In grades PreK-8 there is a uniform. Once students enter grade nine they are asked to wear “business casual.” Please refer to the school handbook for a full explanation of what is appropriate dress. Q. To which areas is there bus transportation? There is bus transportation available for a nominal fee to students living in Smithfield, Suffolk, Yorktown, Gloucester and Williamsburg. Click here for more information. Students in all other areas participate in the “car line” and rely on carpools, parents, and older students to travel to and from school and school activities. Q. Is there a lunch program? While Hampton Roads Academy does not have on site food preparation there is a catered lunch service (hot lunch) that can be ordered each morning. All divisions ask that orders are placed before 10 a.m. Families interested in purchasing lunch regularly begin by depositing lunch funds into their student’s account, and then are billed at the end of each month by the Business Office. There are also options available for a full year milk plan. Q. When are students eligible to participate on athletic teams? HRA has Varsity, Junior Varsity, and Middle School athletic teams. Once students enter the 6th grade they are allowed to participate on middle school athletic teams. Interscholastic competition is available from grades 6–12, with 70 percent of our students competing on one or more of the 44 teams fielded in 22 sports. HRA also has several athletic teams for 5th grade students, and athletic skill-building programs for younger students. Absolutely! Click here to schedule a tour to see the Hampton Roads Academy community in action.